Not just a wonderful venue for personal visits and stays, The Wood Norton has a rich history in corporate events and training. Used an emergency broadcasting base and monitoring service during World War 2, the hotel then became a training centre for the BBC - often used as a filming location or as a base for radio recordings. 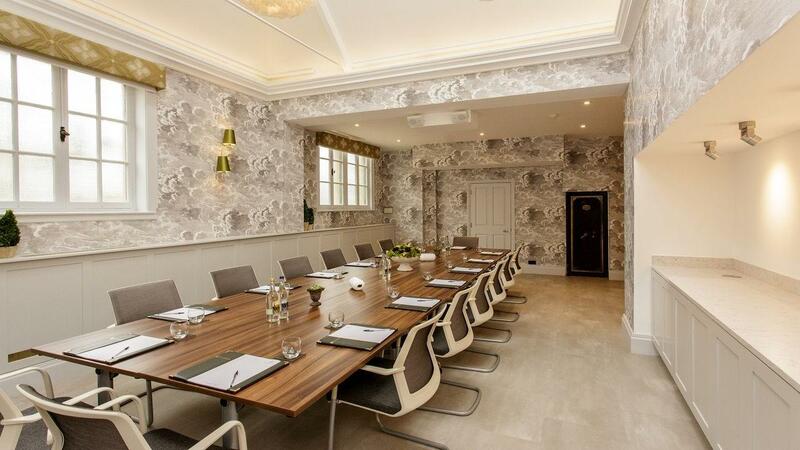 Now, we offer a range of rooms available for board meetings, small business events, conferences and team-building. In 2014 we completed our new 120 seat Conference venue; The Orangery. The Wood Norton is ideally located just 30 minutes south of Birmingham, 10 Miles from junction 6 off the M5 and 90 minutes from London by train or car. A wonderful peaceful location, where minds can be fully focused on business, ensuring maximum productivity. 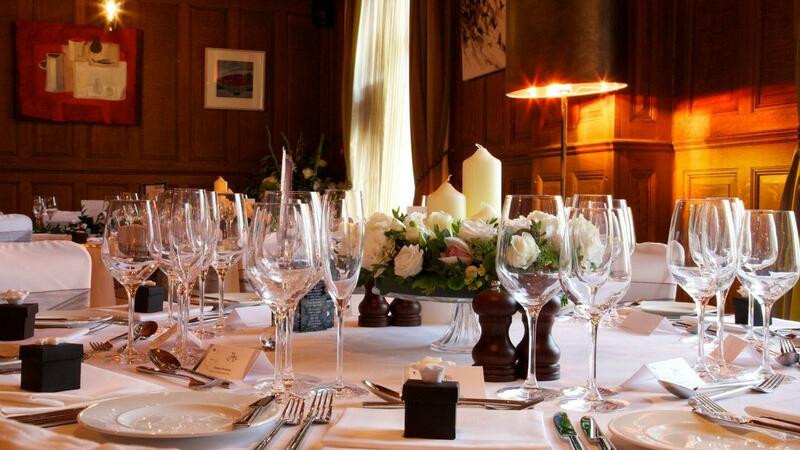 It’s also a superb environment in which to relax once work is finished for the day, where everyone can enjoy fine wine and dining in our award winning restaurant, or seated in one of the comfortable fireside armchairs of this listed Victorian mansion. All meeting spaces are situated on the ground floor, lit by natural daylight. Surrounded by an assortment of traditional intimate lounges and a vibrant contemporary bar all perfect for breakouts or one to one meetings over refreshments. 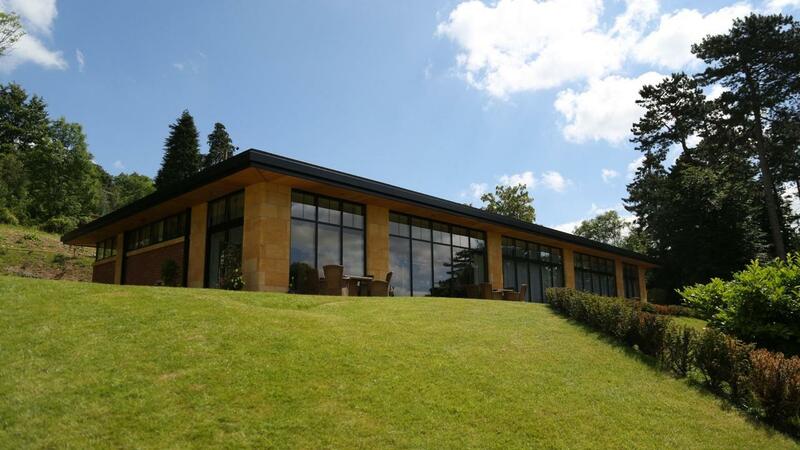 Our stunning conference and events venue sits overlooking the Main Hall and boasts a glass frontage providing panoramic views over Bredon Hill and the Worcestershire Countryside. The Orangery is perefect for companies looking for a quality conference venue, accommodating up to 120 Theatre Style and 88 Cabaret Style. Featuring its own private terrace and gardens, plenty of natural daylight, air conditioning, high speed WiFi with in built projector and sound system. 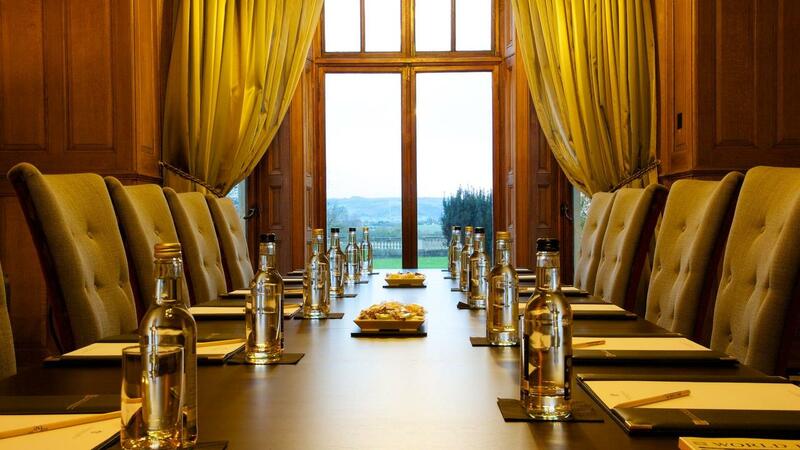 With its wood panelled walls, feature fireplace and stunning views over the Evesham Vale and beyond, our Boardroom offers an executive long boardroom table with comfortable seating for up to 16 delegates, with natural daylight and direct access to the grounds to the front of the hotel throughout the summer months. A perfect location for your intimate and confidential meetings. Flooded with natural daylight from its atrium ceiling, The Old Kitchen is bright and airy, and can accommodate meetings for up to 22 people in a Boardroom layout. After a major refurbishment in 2017 the room now features newly designed conference tables and chairs and integrated projector and screen. Featuring a built in alcove, the room offers an ideal group breakout area or can be perfect for serving refreshments from; ideal for long training days. The Wood Norton offers high speed complimentary WiFi throughout the hotel. Our dedicated team of professional event organisers can help you with every aspect of holding your business meetings at The Wood Norton, and a dedicated conference porter will be at your call throughout your event. For more information please call 01386 765611 and ask for our events coordinator to arrange a show-round of the facilities we have to offer. We will then be able to discuss your requirements and configure a bespoke package to meet your needs and budget.